An independent Cricket Discipline Commission led an internal investigation into the incident involving the pair outside a Bristol nightclub. Kai Barry and William O'Connor say Ben Stokes 'didn't deserve being put through a trial'. Cricketing superstar Smriti Mandhana says she is living her parents' dream by becoming one of the best players in the world. Somerset County Cricket Club says it will not be signing Cameron Bancroft following his involvement in a ball-tampering scandal. Stokes was involved in an incident outside a nightclub in the Clifton Triangle area last September. Somerset County Cricket Club have announced the signing of Cameron Bancroft for 2018. The 25-year-old Australian batsman, currently opening the batting against England in the Ashes, will be joining the County as an overseas player and he will be available for the majority of the campaign. Cameron will be available, subject to permission from Cricket Australia, for the start of the 2018 Specsavers County Championship season, all of the Royal London One-Day Cup fixtures plus the six remaining Championship matches that take place after the T20 Blast group stages. This will provide us with the continuity that we are looking for from an overseas signing. Bancroft made his international debut in this winter’s first Ashes Test, making an eye-catching 82 in Australia’s second innings. He also has an impressive record in first class cricket with a top score of 228 not out. I’m really excited to be joining a county with so much potential. I’ve heard a lot of good things about Somerset from Justin Langer and it’s clear that they are a team heading in the right direction. There’s a long history of Australian’s doing well at Taunton, so hopefully I can add my name to that list. 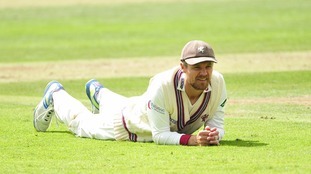 Cricketer James Hildreth will be trading in his bat for his walking boots today, 18 October. The Somerset County Cricket Club batsman will begin a 130mile walk in aid of the Children's Hospice South West. He aims to arrive in Cornwall on Saturday, 21 October. Police have renewed their appeal for two men who could be "key witnesses" to an incident in Bristol allegedly involving England cricketer Ben Stokes. The 26-year-old was arrested on suspicion of causing actual bodily harm after a brawl outside Mbargo nightclub in Clifton nearly a month ago. Today Avon and Somerset Police released descriptions of two male witnesses they want to trace after the attack. One of the men we want to trace is described as white, of slim build, 5ft 9ins tall and aged in his early 20s. He had short dark brown hair, was clean shaven and wore a white t-shirt with a sleeveless jumper, jeans and trainers. The second man is also white, 5ft 9ins tall and aged in his early 20s but is of a slightly larger build. He had short light brown hair, was also clean shaven and wore a long-sleeved round neck t-shirt, dark/black skinny jeans and trainers.